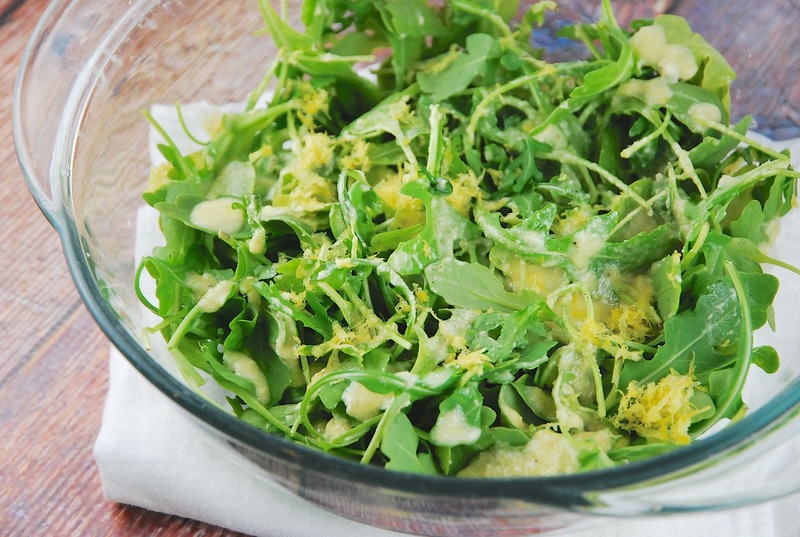 This ridiculously easy Lemon Parmesan Arugula Salad is not only a delicious Weight Watchers Salad that is incredibly versatile and pairs so well with just about any main course. I often refer to this as a “base salad” because you can enjoy it as is, or add a variety of other amazing ingredients to it. For protein, try adding chicken, salmon, steak, lentils or garbanzo beans. And for extra veggies you can toss in some cherry tomatoes, red onions, sliced bell peppers, peas or roasted zucchini slices. This is truly a great Weight Watchers Recipe to have in your bag of tricks. Enjoy! Simple, lovely and delicious, this easy arugula salad recipe pairs great with a variety of meals. Tangy lemon vinaigrette with the salty parmesan cheese makes the flavor combination absolutely mouthwatering. In a small bowl, whisk together the olive oil, lemon juice, and parmesan cheese. Pour dressing into arugula leaves, and toss to coat. Season with salt and pepper as desired, and then top with lemon zest.